Hey, mah favorite scrapbook peeps, I have some exciting news … I have FIVE copies of a new scrapbooking mystery novel to give away!!! 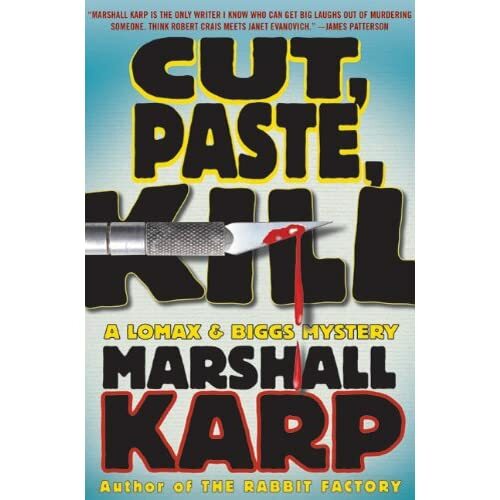 It’s a hardcover version of “Cut, Paste, Kill” by Marshall Karp (retails for $26.99). In CUT, PASTE, KILL, Mike Lomax and Terry Biggs are two hip LAPD detectives who discover socialite Eleanor Bellingham-Crump dead on the floor of a hotel bathroom. Next to Eleanor’s lifeless body, the killer has left an intricate scrapbook documenting a motive of vengeance in lurid detail. As more bodies are found, each one connected to a scrapbook left at the scene, Lomax and Biggs must decode the meaning behind the scrapbooks before the avenger has time to cut and paste the story for another kill. For some early reviews (three 5-star customer reviews as of when I posted this! 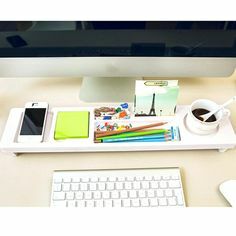 ), you can check out AMAZON.COM. By the by, you can purchase the book from Amazon if you don’t win a copy … hint, hint. Right now, the hardcover is selling for $17.15 new and a Kindle edition for $12.99. The bottom line is that this is perfect summer reading — ideal for a lazy Sunday afternoon or a holiday beach read. If you want a great “entertain me!” murder mystery, I don’t think you can do better than Cut, Paste, Kill. 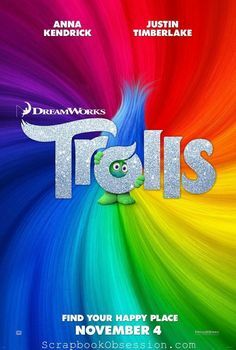 Highly recommended… at least for people who like to giggle. I’ve read scrapbooking mystery novels in the past (those by LAURA CHILDS and JOANNA CAMPBELL SLAN) and this one is a bit different. Instead of it reading as a mystery written by a scrapbooker, it’s more like a “regular” mystery novel that has scrapbooking as a plot device. It’s told through the eyes of two LAPD detectives, not through the lens of a scrapbooker. So, even if you’re not big into scrapbooking but just like reading mystery novels, you’ll enjoy this. To enter the giveaway, please leave a comment on this post telling me why you want the book. I’m paying for the postage out of my own pocket, so PLEASE only enter if you’ll really read the book or know someone who will. If you have any friends who would be interested, please have them come enter! Deadline is Friday, June 25, 2010* at midnight PST. Open to US residents only. One entry per person. FIVE winners will be chosen via Random.org. FTC Disclosure. ST MARTINS PRESS provided me with 6 free books. I received no monetary compensation. They are providing the books to the winners of this giveaway. I’ve never read a “scrapbooking” book before but this one sounds like a fun read! Oh I am such a big reader and since we’re taking a beach vacation with my daughters this summer to Tybee Island, this would be perfect! I’d love to win this, sit on the beach, and turn the pages! THks Erika for the chance to win! Wow! never heard of this! It would be an interesting reading! Thank for a chance at this giveaway! Although I am a voracious reader, I have never read a scrapbook-type novel. Love a good mystery! Would love to win this book. I have read the books by Laura Childs, but this sounds exciting!! I love the Stephanie Plum series by Janet Evanovich, now those books are LOL. I am going on the hunt for this book you mentioned even if I don’t win it. This book sounds good to me. I love murder mysteries and to read one centered around a scrapbook would be a real treat! I sell books to earn a living but I scrap to stay sane. This book sounds like a way I can do both! Can’t wait to read it! I haven’t heard of Marshall Karp before! I have the Laura Childs books but this this looks great! Thanks for the chance to win!!! I love mysteries and I love scrapbooks. What could be better than reading this book? I’m an avid reader and I love a good mystery! I want to win this sooo bad!!! I have read all the Laura Childs sb mysteries, and now that you’ve named another author, will have to check her out. LOVE to read, LOVE mysteries, and LOVE scrapbooking – all my stuff together in one package! Thanks so much for the chance to win, as well as the info on how to get the books if we don’t win! I have heard wonderful things about all the scrapbooking novels, but I have not had the chance to read one yet. 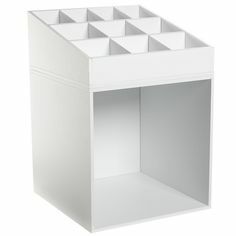 I am an avid reader and scrapbooker, WHAT A GREAT COMBO!!!! and as Kath mentioned above, how do we get one of these books if we don’t win? I love to read-I have read all the scrapping mysteries I could find and would certainly like to try a new one this summer. Thanks. As someone who collects every novel she can find about scrapbooking, I would LOVE to win a copy of this new book! What an intriguing twist to have it written as a “clue” in all the murders. Oh yes, I not only would read it, but devour it as soon as it arrived!!! I’m crossing my fingers that my name gets drawn! I am an avid reader and am currently compiling my summer reading list! I would love to win a copy of this book — I would even pay it forward and pass on the book to my other scrapping/reading friends when I am finished! This sounds like a perfect summer beach read! This sounds like a great book and I am always looking for a new author to try. Thanks. Ooh, I would love to win! Mysteries are my favorite books to read, and it can’t really get any better than a Scrapbook mystery! I just love Joanna Campbell Slan! I’ve read the first of her mysteries, and would love to get a copy of this book! Thanks for the giveaway! I love craft-centered mysteries! Actually, I love culinary mysteries, too. I just love to read fun mysteries that have to do with stuff I LOVE! I would totally read this book! Laura Child’s are some of my favorites! Although, I have to say that Waking Up In The Land of Glitter was amazing! I love to read and love mysteries. I would love to win! Thanks for the opportunity! After reading the review that you have on your blog, I am so intrigued to read this book. I have been trying to find a good and easy read to have with me in the car when I am running errands with the hubby or on our road-trips and this would be perfect. I cut my reading teeth on mysteries and spy novels. I would be more than happy to pay my own postage! Sounds like a great and funny book! Sounds like a fun read! Thanks for the chance to win!! I love scrapbooking AND mysteries and I finally have some time to read grown up books now that school is out! Thanks for the generous giveaway. I need to read a good mystery so I can practice being a detective to find out who took Debs smilies! I need books that keep my interest, and this one sounds like an attention-grabber. Thanks for the chance to win! I would LOVE this book…and need something new to read. and if I win, I will pass it around to all my Scrapping buddies when I am done, so many will benefit!! I love, “lurve” to read! And have always enjoyed mysteries. I can’t imagine combining two of my favorite pastimes together: A good fiction read about scrapbooking, my favorite hobby? Wow! I love a good mystery!! And what better way to combine two loves! Happy Summer! I read 3-4 books a week, many of them mysteries, and have read several of the Laura Childs scrapbooking novels. I would LOVE to win this book – and rest assured, it will be read! I would LOVE to read this book, sounds hilarious. And then after I’m done I would loan it to my friend who got me into the Stephanie Plum series. I just love Scrapbook mysteries. It would be fabulous to have this one for the summer. Thanks for the give-away. Wow, 2 of my favorite hobbies combined. 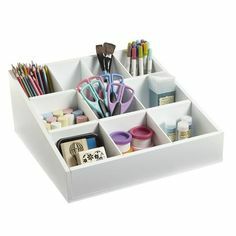 I love reading mysteries and I love scrapbooking, err guess I should say I love collecting scrapbooking supplies more than using them. If I happen to win, after I read this, I would pass it on to someone else and hope they would do the same. I have really enjoyed Joanna Slan’s scrapbooking mysteries and would love to read a new author! I love to scrapbook , I love to read (currently reading Janet Evanovich so it was cool to see JP comment about her and this book) and would love to read it! Would also be willing to pass it on to another reader when I was finished! I love to read and that book sounds like a must have for me. I have always enjoyed the Scrapbooking Mysteries by Laura Childs and this one sounds really good. I’d definately pass it along after I was done reading it. Have lots of friends who like to read alot too. 2 of my favorite things: scrapbooking & mysteries, sounds great! This looks great! I love reading novels aobut my hobbies. I love that you wrote a book about screapbooking and a mystery in one 2 of my favorite things!! hope I can win a copy. Love mysteries and add scrapbooking to it. Fun for sure! Sounds like a fun read for the summer!! I love mysteries and scrapbooking so combining the two sounds heavenly. I also need a new book for our beach vacation. Thanks for the giveaway. Am always looking for new authors to try – thanks for the info! This is the perfect book for summer. I’d love to win this book and share with the rest of my scrapbooking friends. Thanks for the opportunity and your generosity. Happy Summer!!! I love the Laura Childs scrapbook mysteries, and I just picked up “cut Crop and Die” from the library. I love a good mystery book but throw in scrapbooking and I’m hooked!! Thanks for the chance. LOVE mysteries and LOVE scrapbooking – so what a FUN match! Thanks for the info and chance to win! Thanks for the opportunity! This sounds like fun for scrapbooking mystery lovers like myself! I love reading mystery books and have never read a “scrapbooking” book before. Would love to win this ! After I read it I can pass it on to my scrappin’ buddies who also love to read. I would love a copy of this book. I have read Laura Child’s books and would love to give this one a try as well. This looks like a great book! I’ve recently started reading some mysteries, so new is always good! Based on your prior recommendations, I read the first Joanna Campbell Slan book…and enjoyed it. Would love to read this one too. Thanks for the chance to win! Way to cool. I just finished up a bunch of books and was looking for something new to read this would be great summer reading. Picked up Julia Childs cookbook becasue I couldn’t find anything that peaked my intrest at the library today…..
Looks interesting! I’ve never read a crafting related murder mystery, but do love the genre overall. Summer, sunshine and a good book to read on my deck with a cold lemonade – sounds like fun & something relaxing I should do !! Would love the book – the reviews sound GREAT !! Sounds like a fun read for our summer road trip. Thanks for the chance to win! I love mysteries! They’re just about all I read. I even have this one on my list of books to get from the library, but I’d love to own it. I would love to read this book! I met Joanna Campbell Slan on my first scrapbooking cruise, before she wrote her novel. She asked us lots of questions, even though she’s a scrapbooker herself. I would like to read this novel, since it seems like it might be a little different take on Joanna’s scrapbook-based novel. Thanks for doing this give-away! I love books about scrapbooking. I read Keepsake Crimes, Photo Finished and Bound for Murder. I have some of my scrapping buddies hooked on these books as well. We sometimes discuss writing a book based on some of our experiences. Unfortunately, that is all we do is discuss. We love scrapbooking too much. I do have a short piece in Chicken Soup for the Scrapbooker’s Soul. The title is The Blanket. I would love to read this book. Thanks for giving us the opportunity to try to win one of these books. PS Love your site. I have bookmarked it to share with others. I love to read lighthearted mysteries in the Summer! And then I always pass them to my mom who reads them and then passes them to someone in her group of friends! So this book will make the rounds! I would love to win this! I am a high school teacher. We just got out for summer vacation so a fun summer read sounds like the perfect way to spend my time!! OOOhhh…please….pick me! Pick me! 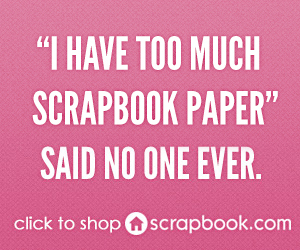 I love to read…and have read every scrapbooking novel I have found. I’m having surgery on Monday and will have 8 weeks to read while recuperating! This book would be PERFECT!! I tried to read another scrapbooking mystery one time, but just couldn’t get into it. I like that this one is supposed to be laugh out loud funny. Would love to read it! Scrapbooking, a mystery, and a giveaway? It sounds like the perfect summer read! Sounds like the perfect summer read! I would love to check this out… what an awesome give away, Good Luck everyone! Ooo!! Sounds like a great read! count me in!! I am addicted to mysteries and quite often read two a night – getting little sleep. I am a retired teacher (36 years exp) and quite often find errors in the published books. so perhaps we could help each other. Loved your first venture. I have read all the scrapbooking mystery books out that I have found. Some are much better than others but I have liked them all. 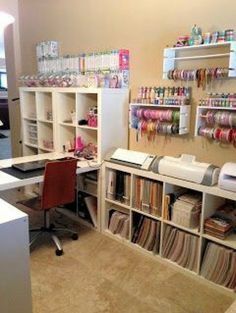 It’s fun to read about different ways of scrapbooking. What a riot to combine the murder and scrapbooking into clues. It brings an entirely different perspective to the concept.